A research project led by Professor Emma Master (ChemE) aims to develop a new generation of sustainable, wood-derived materials for a wide range of everyday applications, including food packaging and bio-based adhesives for building construction. To do so, the team is looking in some unlikely places, from rotting logs to the stomachs of moose and beavers. “When it comes to finding sustainable sources of materials and chemicals, I can’t think of a better source than plants,” says Master. Trees are renewable, carbon-neutral and biodegradable, yet for many products used in daily life, materials made from non-renewable fossil fuels win out for their lower cost and durability. Moreover, for most paper products, such as cardboard boxes, paper cups or napkins, only a tiny fraction of the raw wood material makes it into the final product. 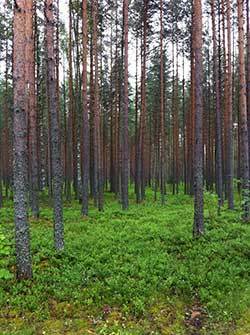 Wood is a blend of three natural polymers: cellulose, hemicellulose and lignin. Most paper products are made only from cellulose, and harsh mechanical and chemical treatments are required to separate this component from the other two. Hemicellulose and lignin — which together make up more than half of the wood — are usually burned for power generation or else discarded. Master and her collaborators believe they can make better use of all biomass fractions in wood, thereby creating new value streams from trees and potentially replacing some plastic products. They are inspired by life forms that break down and digest wood for a living: the bacteria and fungi found in rotting logs, and the microorganisms that help moose and beavers digest their woody meals. Wherever they live, these microbes produce a complex cocktail of enzymes that break down or modify the wood’s chemical structure. “These enzymes work together to break the wood down all the way to simple sugars,” says Master. “However, if we take out certain components of that enzyme cocktail, rather than break down the entire polymer structures, the remaining enzymes can instead modify them in specific and often beneficial ways.” These subtle tweaks could generate new wood-derived materials that are tailored to compete with oil-derived plastics. For example, traditional pulp and paper processes create short hemicellulose fibres as a byproduct. 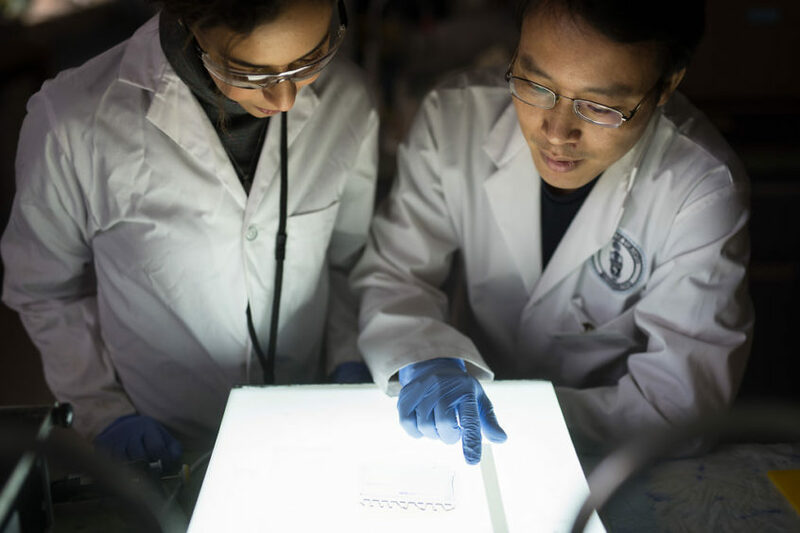 By treating these fibres with a defined collection of microbial enzymes, Master and her team hope to re-assemble them for use as thin films, similar to cling wrap. “Hemicellulosic coatings and films can be developed to alter the barrier properties of cellulose used in single-use packaging,” says Master. What would otherwise be a waste product could be converted into a renewable, biodegradable form of food packaging. The team is also targeting the construction industry with new adhesives derived from lignin that could replace the oil-derived glues used to make composite wood panels. They are also working on a set of enzymes that could modify the surface of cellulose to make it more water-absorbent, a potential boon to manufacturers of medical paper products, such as bandages and diapers. Master recently received support for the project from Genome Canada through the Large Scale Applied Research Projects (LSARP) program. The grant matches previous funds raised from other sources, including the European Research Council, for a total of $9.5 million. 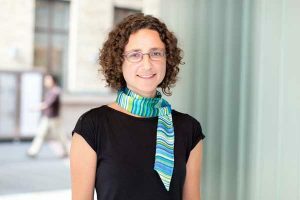 Her collaborators on the project include Harry Brumer at the University of British Columbia and Adrian Tsang at Concordia University, who bring expertise in the chemical modification of biopolymers and the production of novel enzymes from fungi. The team also includes companies along the entire value chain, from forestry to manufacturers of bio-derived products.